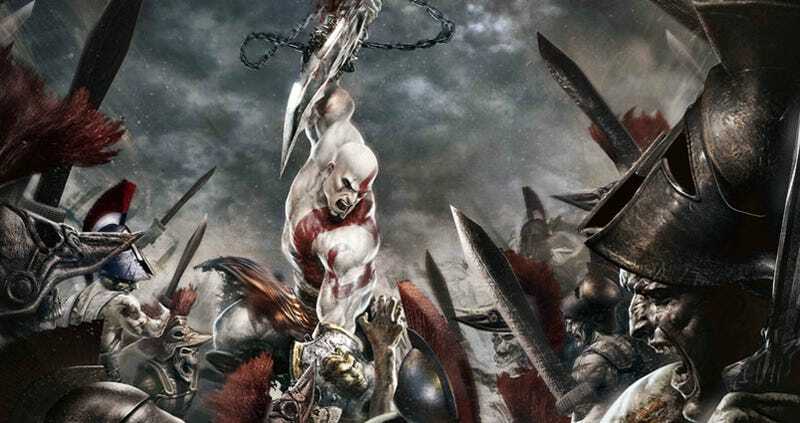 The PlayStation Portable may be getting a second helping of Kratos, as reports put God of War: Chains of Olympus developer Ready At Dawn Studios hard at work on a follow-up handheld adventure. According to a report from Joystiq, Sony has already put in an order for a sequel to the PSP blockbuster, a game that could make an appearance in announcement form at this year's E3. That's according to the site's "trusted source," which puts Ready At Dawn back on PSP development as of "late 2008." While Ready At Dawn reps opted not to confirm the rumor, it would certainly make a lot of sense. The Irvine, California based dev certainly knows its way around a UMD. After "moving on" from PSP development last year, the Chains of Olympus developer looked to have a change of heart, if only for its successes on the platform. John Koller, Sony Computer Entertainment of America's director of hardware marketing, says that the publisher is in talks with the studio, noting to Kotaku that PSP software development is ramping back up. With LittleBigPlanet, MotorStorm and Assassin's Creed already confirmed for the PSP, another entry in the bestselling God Of War series seems perfectly logical from a money-raking standpoint. Hopefully we'll know more at E3 2009 or when the manual for God of War III starts making the rounds.